Is the Government’s infrastructure fund announcement enough? Home / Affordable Housing / Is the Government’s infrastructure fund announcement enough? National has announced at its Annual Conference new policy aimed at addressing homelessness. It is appalling that in a country such as New Zealand homeless should even be an issue, let alone a widespread one. At first glance the announcement looks interesting. But after checking out the detail I can’t help but think that the policy is more spin than substance. The basic details are a billion dollar fund to fast-track infrastructure development by councils with high new housing demands. There is also talk about the establishment of Urban Development Authorities for specific areas of high housing need. Dealing with the UDA first can I say it is a good idea. It has actually been Labour Party for a while. Labour will legislate for Urban Development Authorities to master-plan for ambitious urban renewal projects around rail, medium density economically-sustainable town centres, public space, healthy and sustainable homes, and strong communities, ensuring that communities which have the most to gain from public transport are best served. 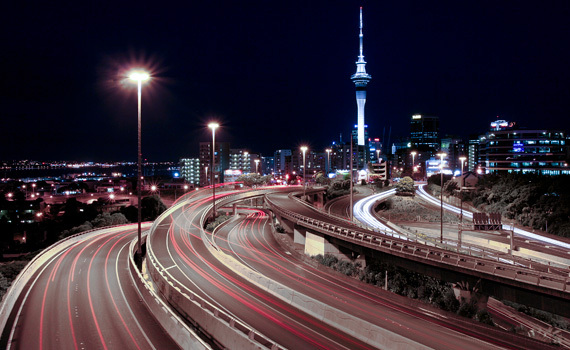 There is an urgent need to spearhead large-scale urban development projects in the city so that Auckland can house a growing population and inject affordable housing into the mix,” Mr Twyford says. “Unless we start building large volumes and a mix of housing types and affordability, Auckland will never solve its housing crisis. But unfortunately for whatever reason National dragged its feet on the issue. Now it appears to be willing to do something but we are two years down the track. And besides it is unclear how this may benefit Auckland. The proposed UDA could include powers for planning and consenting but it is difficult to see how this could work. If an agency was given the power to compulsorily purchase land at market prices then there may be a benefit. There is a suggestion that the Government is considering giving a UDA power to acquire land designated for a special housing area to stop land banking. This suggestion may fulfil a political problem that the Government is facing but how practical it is remains to be seen. And I am not sure that National’s traditional supporters will be very happy about it. As for the fund my first and my latest responses have been Meh. Any money taken from the fund is interest free but has to be paid back to the Government within ten years. A billion dollars sounds like a lot of money but the cost to the government is rather small, at current interest rates about $40 million a year. Most councils could borrow the money at a similar cost. It should be remembered that this is not a grant, rather a medium term interest free loan. And the utility of this fund is questionable, at least as far as Auckland is concerned. It has $19 billion of unfunded infrastructure to be built over the next decade so this particular fund will not go close to meeting what is required. The requirement that the fund be used for new infrastructure and not the replacement of existing infrastructure will do nothing but incentivise urban sprawl. I cannot imagine why this was a condition, unless that is the intention. And it may not help Auckland’s credit rating. Currently the city has $7.5 billion debt and the latest budget forecasts a debt-to-revenue ratio of 265 per cent. Credit rating agencies have warned that if it hits 270%, which represents another $140 million of borrowing, then the city’s credit rating may be affected. Interest free loans may not have that affect but clearly Auckland is at the edge of what is safe to borrow. A downgrade would cost the city millions a year in extra interest costs. All in all it is good the Government is doing something. But it needs to do much more.